Joyce replaces Joe Stewart, who will retire in 2020. Des Moines, Iowa (January 17, 2019 – Bankers Trust today announced that it has promoted Patrick Joyce to the role of Arizona Market President. Joyce, a 25-year veteran of the banking industry, has been with Bankers Trust since it established a presence in Arizona in 2008. Most recently, Joyce served as President of Arizona Commercial Banking for the bank. 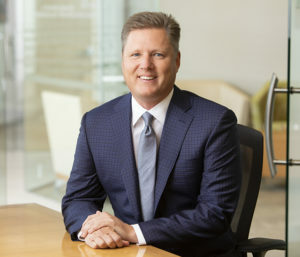 Joyce replaces Joe Stewart, who will retire from Bankers Trust in March 2020. Until then, Stewart will work closely with Joyce on the leadership transition while also serving as Senior Vice President – Business Development Officer. Since 1917, Bankers Trust has been a leading financial institution for commercial and consumer banking services. Headquartered in Des Moines, Iowa, Bankers Trust has total assets approaching $4.6 billion. The company employs more than 600 people across the country, with branches in Central Iowa, Cedar Rapids, and Phoenix, and offices in Omaha and Sioux Falls. Bankers Trust invests more than $1 million annually into the community, and Bankers Trust employees volunteer approximately 18,000 hours each year at nonprofit organizations. Learn more at BankersTrust.com.